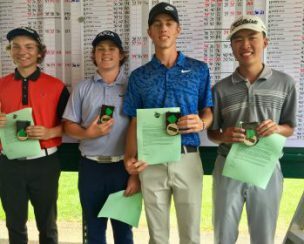 2018 Boys Junior World qualifiers, Colt Sherrell, Preston Bebich, Zach Stocker and Stephen Dai. 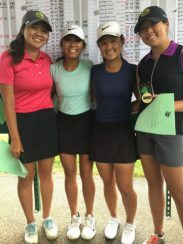 2018 Junior World Girls Qualifiers going to San Diego, Cassie Kim, Alyssa Nguyen, Brittany Kwon and Samantha Hui. All WJGA member 14-18 year old boys and girls are eligible to enter directly into the IMG Academy Junior World Qualifier as long as they meet the handicap/scoring requirements (approximately – 82 avg for boys and 87 avg for girls). Entry into IMG Academy Junior World Qualifier will be done online and be available during your registration into the WJGA program for 2018. Entry fee is $80. The field will be comprised of a maximum of 140 total players. After the first round the field will be cut to the top-30 boys + ties and top-20 girls + ties, who will then play their second round the next morning. The total 36-hole scores at this event determine which players advance to play in the IMG Academy Junior World Golf Championship held in San Diego. Entry into the qualifier will be done online and be part of the 2018 WJGA schedule. The dates for the IMG Academy Junior World Golf Championships in San Diego are July 9 – 13, 2018. The IMG Academy Junior World Golf Championships tournament committee determines the number of spots for boys and girls who advance to San Diego. Girls eligible to go to San Diego must score within ten strokes of par in at least one of their two rounds at Tumwater Valley GC. WJGA 14 year olds MAY play in the IMG Academy Junior World Golf Championships Qualifier in order to earn points. At Tumwater Valley, points will be awarded to both boys and girls and be used in selecting the Junior Americas Cup teams for the 2018 WJGA season. Players under 15 years of age do NOT have to qualify locally and MUST enter the IMG Academy Junior World Golf Championships directly through the San Diego office. Age, for IMG Academy Junior World Golf Championships Qualifier purposes, is determined by the member’s age as of the final day of the IMG Academy Junior World Golf Championships tournament which is July 13th, 2018. Entry forms for players under 15 should be available at www.juniorworldgolf.com in early February and their entry deadline is in early March. Contact them by phone at (619) 546-6737. The IMG Academy Junior World Golf Championships Qualifier is open to all eligible WJGA member 14-18 year olds. The field will be comprised of the first 140 eligible boys and girls that register.